For your septic system to keep doing its job, we have to do ours. You'll get prompt, expert, professional septic services at affordable rates from Smith's Sanitary Septic Service. Your business is our business. Every day, on every job, Smith's Sanitary Septic Service is driven by our mission to serve our customers' septic and sanitation needs. Call us today - let us show you the difference our expertise and experience makes. We pride ourselves on having the cleanest trucks. We treat our customers and our equipment with care and respect. Call us today - let us show you the difference. You can count on our commercial services to be prompt professional with attention to detail. Call us today - let us show you the difference! We are Smith’s Sanitary Septic Service, among the largest and longest-serving septic system installation and tank repair companies in or near Dauphin County, Pennsylvania. We do it all, from installs and maintenance, location and excavation, cleaning, repairs and more for residential, commercial, municipal and industrial-scale septic customers. We even perform cesspool, lagoon, absorption field and waste hauling services. Call 717-637-5630 today and let us do the dirty work. 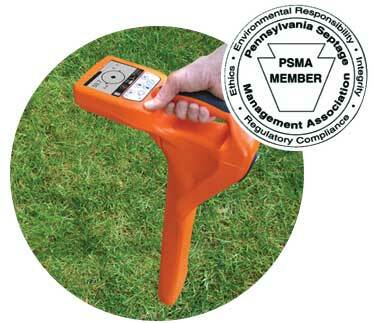 Smith’s Sanitary Septic Service is a proud member of the Pennsylvania Septage Management Association for regulatory compliance, responsible environmental practices and customer service. For your peace of mind, our Response Team is on call 24 hours a day, 7 days a week to immediately handle any septic emergencies. We’ve been in business since 1959, but we’re always learning everything possible about your septic system – so you don’t have to. Installation, electronic location, tank excavation, repair, leach/drain fields, inspections and more septic services for home, office and industry. As a homegrown small business based in Hanover, PA, Smith’s Sanitary Septic Service takes pride in providing total customer satisfaction. really proud to receive great feedback from the customers we serve! Contact Smith’s Sanitary Septic Service for professional, affordable septic tank installation, maintenance, repairs, excavations, inspections, cleaning, hauling, port-a-potty and more wastewater services. Playing Hide-&-Seek With Your Septic Tank? If you need access to your septic tank but don’t know where it is on your property, trust our highly-skilled and well-trained technicians to efficiently find its location. You’ll benefit from our state-of-the-art electronic scanning equipment that will expertly scan your home or business property and find your elusive septic tank.